T. Neharika of Std. 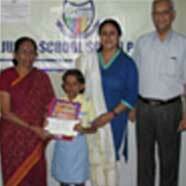 II also made the school proud by winning a cash award of Rs. 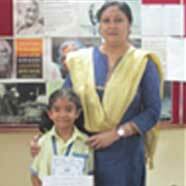 5000 /- in the National level CBSE Expression Series on Pandit Deendayal Upadhyay. 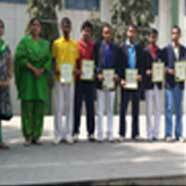 6 students of Std. 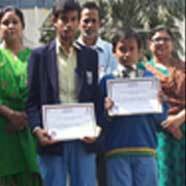 IX have received a Certificate of Merit for their excellent performance in the National TERI Green Olympiad conducted by the Ministry of HRD , Government of India.